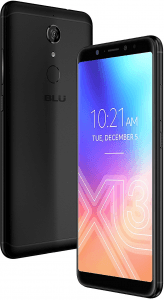 This phone (AKA BLU XL3 Plus) features an edge-to-edge screen concept, in the form of its 6-inch 18:9 display with 2mm-slim bezels, although one suffering from a modest HD+ (720p) resolution, while it upgrades its mother model's 13-megapixel selfie cam to a 16-megapixel cam, while bringing back its dedicated frontal LED flash and 5P-lens architecture. Also, it awkwardly runs on a basic 1.4GHz quad-core processor, despite coming with 3GB of RAM and a decent 3000mAh battery pack. Also called BLU XL3 Plus. 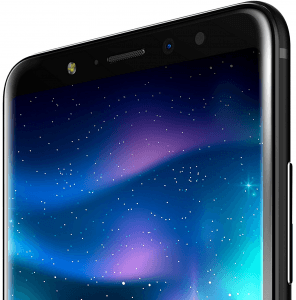 Pros and Cons Review The Vivo XL3 Plus's pros, which include a 16-megapixel selfie camera and a reasonable (in the mid-range department) 3GB RAM, try to ward off cons like a mere 1.4GHz quad-core processor and a 720p screen resolution. Click through for our technical specs analysis. (more) More BLU phones See all the new and upcoming BLU phones.